Will Learner Voice Lead to the Learner’s Revolution? Brodie is an interesting kid; not precocious or in any way insolent, but also not afraid to share his opinions. He’d been going to one of Melbourne’s leading schools when late last year he decided it was time he and the school parted company. It was about that time his father, Nicholas, a local realtor, was asked to come to a meeting with Brodie’s principal. And that is exactly what Brodie is doing right now. He started his business at fifteen, and by the time he entered Year 11 at school he was earning more than some of the adults he connected with. But he did still need his dad (and any other adult he could find) to drive him to his gigs two or three times a week. So was Brodie a dropout? A rebel? Or could we call him a revolutionary? By traditional measures, he didn’t make the school completion statistics and therefore some might say he was a failure. So how should we describe the increasing number of young people making similar choices? We all have Brodies in our schools, and we know why many like him leave before completing high school. So why do we still count them statistically as “dropouts”? For many, it can be the best decision they make in their lives because it frees them to follow a passion which can be both rewarding and enjoyable. Yet there appears to be widespread community consensus that 12 or 13 years of formal schooling offers our students the best choices in life. Is that really the case for every child in our modern world? Did I miss the meeting that decided that trade apprenticeships or internships for sixteen-year-old kids weren’t a worthwhile choice that they should consider? Just last week one of Australia’s most successful businesspeople under forty, Ruslan Kogan, was quoted as saying that he had “little respect for formalized learning,” saying that “by the time there is a course for something it has become old technology.” So the real question is fast becoming how do schools keep up? Is it possible that for many of our kids staying in school actually holds them back? Why are our models of schooling so tightly structured in ways that limit the opportunity for kids to make choices such as Brodie did, or indeed even take a gap year for fears they will “miss out” or maybe lose their thirst for learning? When we think about why schools need to change, surely this call by the wider business community is one that we must respond to. It’s obvious that we urgently need to break the rigidity of our traditional school model and be a lot more flexible in where, when and how students engage in learning, at every level. And while many adults in the room seem hesitant, cautious, or bewildered by the prospect of serious change, look out, because there’s increasing momentum to suggest that while we’re all busy debating, discussing and delaying the inevitable, it may be students who end up taking the lead role. While we know the circumstances that lead to the Parkland student rallies were unique, it was nonetheless the first time that we witnessed our high school students really flexing their voice muscles. And it was the students who succeeded in maintaining the rage around gun control because they had access to the social tools, they knew how to use them most effectively, and they led the national debate for weeks as a result. It was a time when they learned their voices mattered, and while that certainly touched students in a very emotional way, how long might it be before we start seeing students leading the call for school change? We talk about how our students now have unlimited access to pursue passions, to make choices about what, when and how they learn, and yet we are still teaching to a predetermined curriculum of “essential learnings,” all the while knowing that the gap between what students need and what formal schooling offers is growing wider by the day. Aren’t we just wasting our student’s time when they have so much choice, so many opportunities for learning at a much greater depth than has ever before been possible? Estonia Leads the Shift to Digital Government – If you think it’s the corporate sector that is driving digital transformation, have a look at what is happening in Estonia through the eyes of the world’s digital Head of State Toomas Hendrik. The Failure of University Selection Rankings – More research to highlight the failure of university entrance testing. Here is the full report from the Mitchell Institute. Do You Trust This Computer? – Elon Musk paid for 2 days of free viewing of this video, but if you didn’t see it, it’s worth spending $3.99. While AI may not yet have a direct impact on what we do in schools, it is important we understand its potential influence on our lives. If the video doesn’t convince you, here and here are some more specifics. The free and easy way to help kids develop language skills – New MIT research shows us how our youngest learn language. Reputation Inflation – Finally something a little lighter. Just when you thought your likes and reviews mattered, they don’t. 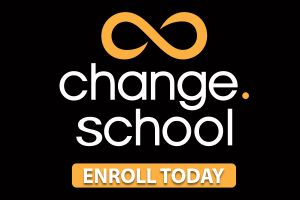 Join us in Change School!